There’s something known as “second-year grief” and experts suspect it’s occasioned by the fact that in the first year following a sudden and traumatic death, the mind is in shock. By the second year, the protective layer of shock is mostly gone, and what’s left is the ugly, raw reality. I’m not sure what the issue is, but despite a rigorous daily exercise routine, healthy eating, gratitude lists, daily “to do” lists, and other good habits, I’m struggling to keep my head above the massive waves of despair, regret and hopelessness that keep washing over me. Every morning, one of the first things I do is to check this website for new comments. When someone leaves a comment, it’s a lovely reminder that I am still alive, and that someone somewhere is still thinking about me. And when someone says that they’re praying for me, that lifts my spirits more than I can easily express. I return to the “well-commented” blogs (especially the recent ones) and read through every word of every comment again and again. So if you’re one of the 1,500+ daily readers at this blog, I’d be ever so grateful if you’d take a moment and please leave a comment below. Read through some of my favorite comments here. Interested in learning more about Penniman? Click here. When I drove to New Martinsville, WV last week, my Garmin took me through Ohio (and why, I do not know). 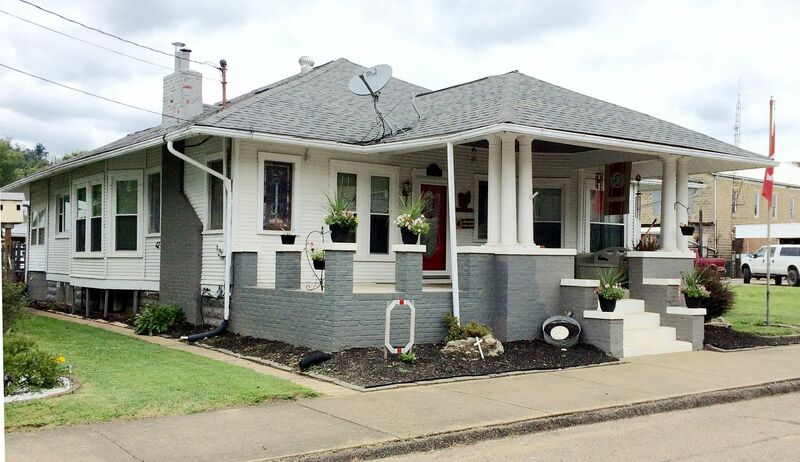 Whilst there, I saw this perfect Avondale in Matamora (on Grandview Street) and snapped a picture. 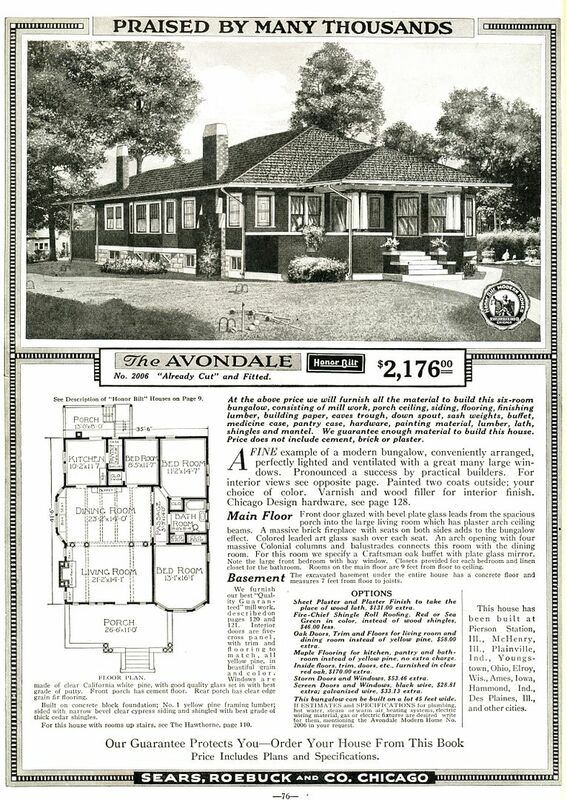 Here's an Avondale, from the 1919 Sears Modern Homes catalog. Every comment is so precious to me, and I cherish every word and the love behind the words. 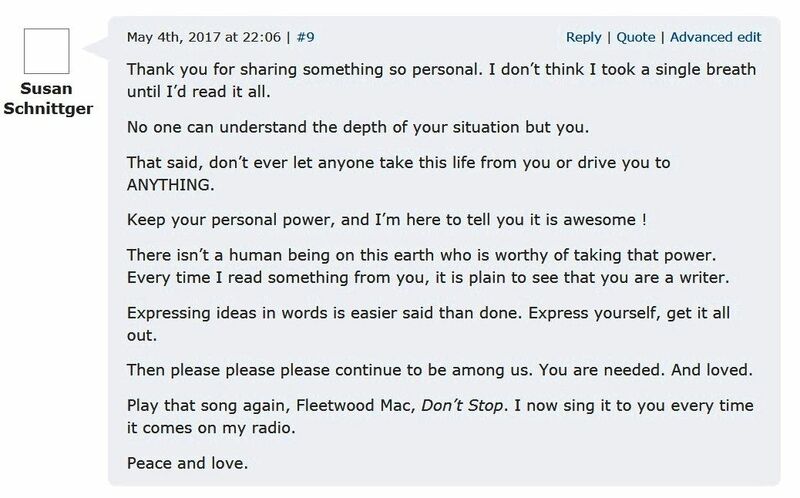 This comment made me laugh out loud and also touched me to tears. And I do love that song. To read the full blog that Susan is referencing, click here.